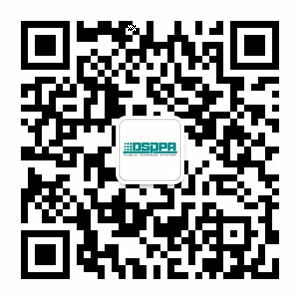 ﻿ Links - Guangzhou DSPPA Audio Co., Ltd.
Guangzhou DSPPA Audio Co., Ltd, founded in 1988, is a professional audio manufacturer with 30 years of designing and manufacturing experience. DSPPA has the most complete and professional production range of audio equipment, which varies from amplifiers, loudspeakers, intelligent PA system, network PA systems to conference system, smart home audio system and interactive E-learning system. InfoComm is the largest, most exciting event in North America focused on the pro-AV industry, with 1,000 exhibitors, thousands of products, and 44,000 attendees from 110 countries. InfoComm is the largest professional audiovisual trade show in the United States, with thousands of products for audio, unified communications and collaboration, display, video, control, digital signage, home automation, security, VR, and live events. AVIXA believes Audiovisual Technology changes how people communicate and experience the world. AVIXA helps drive the market for audiovisual solutions and is the community for creative professionals who use technology to create integrated experiences. Integrated Systems Events produces B2B exhibitions and conferences for the professional audiovisual, electronic systems integration and IT industries. The flagship event is Integrated Systems Europe. In addition there are the Smart Building Conference, Digital Signage Summit Series, Integrated Systems Russia and VR Days Europe.